July 14 is the national holiday of France, generally known as Bastille Day. 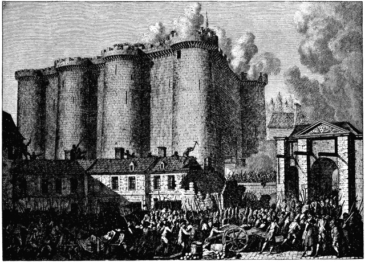 Popular wisdom is that the holiday commemorates the capture of the Bastille on July 14, 1789, during the revolution which brought down the French monarchy. We'll bet you didn't know that, either. Now, it seems that in honor of Bastille Day, we should present a problem by a French problemist, but in the 8x8 Anglo-American literature, we didn't find one that we could specifically attribute. 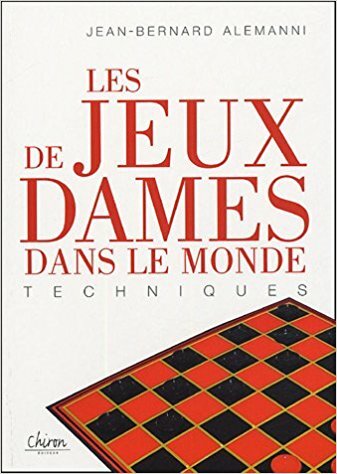 However, Jean-Bernard Alemanni, in his excellent book "Les jeux de dames dans le monde" does present a couple of relevant demonstration positions. While these are surely not original compositions, the one we show below makes for an easy practice exercise. Vite, vite! Trouvez la solution, and when you're done cliquez votre souris sur Read More to check your answer. 24-27---A 32x23 3-7 12x3 9-13 15x8 13x31 3x10 6x29---B 23-18 31-27 19-16 27-23 18-14 23-18 14-10 18-15 Black Wins. A---The order of the pitches can be varied but the results are nearly identical. B---Play after this point is representative; variations are possible but Black has a relatively easy win. Sadly, though, it seems that Mr. Alemanni thinks international checkers, with flying kings, is more interesting: "La faible ampleur de déplacement de la dame diminue le côté spectaculaire des coups ... "
But we love his book and, if you're a reader of French, you'll surely like it too. 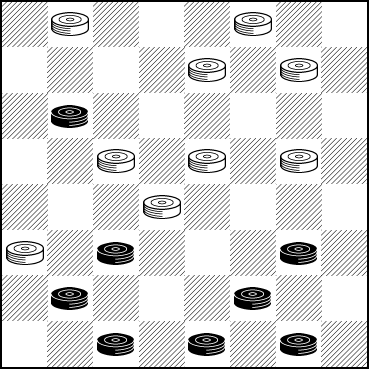 It covers dozens of variants of draughts and is filled with interesting material. You can find it here at a very attractive price.